As a native German speaker I switch between English and German language a lot. 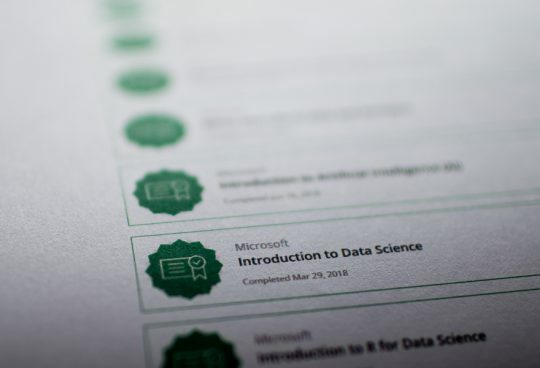 Generally for server components like SQL Server and development environments like Visual Studio I find it much easier to use English versions. 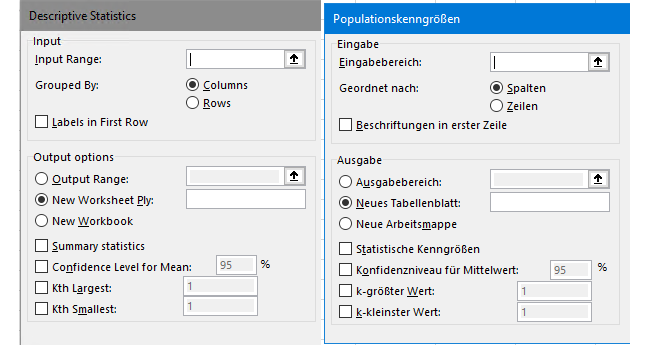 For frontends like Excel and PowerBI I also prefer English, however the colleagues who work with my applications usually use German versions. 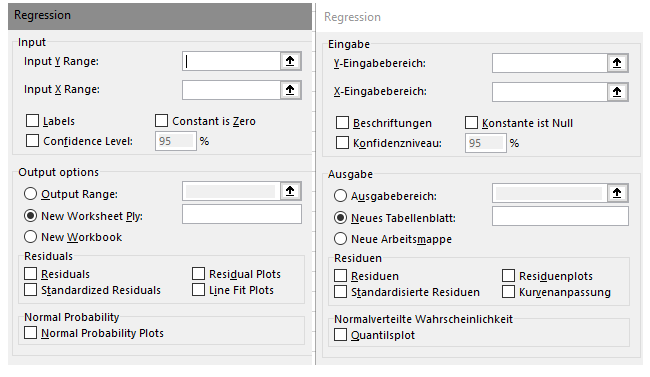 For Excel this means constantly mixing up colon and semicolon in formulas. Plus I always forget that the German formulas even use Umlaute like “GLÄTTEN”. For Data Analysis functions I created a little sheet with screenshots of the functions I use. 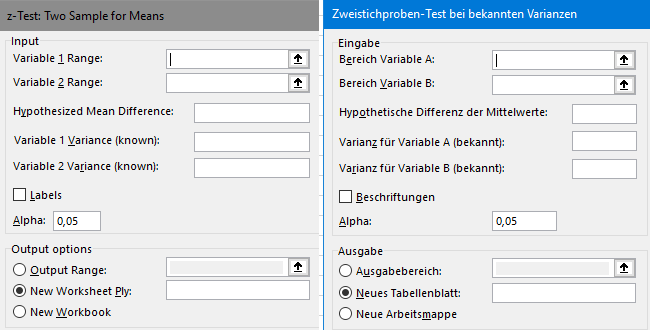 Maybe it can be useful for someone else who also uses German and English version. Here it is: screenshots plus a table for easier copy/paste (if necessary). Copyright © 2018 Michael Mertens. All Rights Reserved.